DOAS (dedicated outdoor air systems) is a practice that is developing in humid climates to tackle IAQ (indoor air quality) issues especially regarding mould. The idea is to reduce the excessive power consumption of overcooling the large amounts of re-circulating airflows by utilising a desiccant DOAS dehumidifier to remove the moisture instead. This is a much more desirable as it is proven to substantially reduce your power bills. Seibu Giken DST dehumidifiers have a specialist desiccant which is effective at using waste heat and converting it into dehumidification capacity which is even sufficient to work in the tropics. The Rockhampton Campus library at the Central Queensland University recently upgraded their library air supply with a desiccant DOAS that supplies the library with a space condition of below 50%RH which is the National library of Australia guidelines. 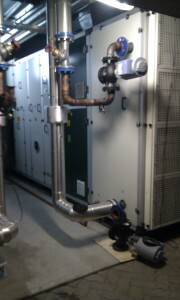 These units run off refrigeration heat and can easily be upgraded to solar. Where exhaust air is available, Seibu Giken DST also offer energy recovery ventilators which are resistant to VOC transfer and provide efficiency of 70-80% for latent and sensible heat as they are 100% counter flow devices. 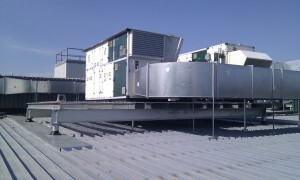 Similarly in moderate climate ventilation of libraries. 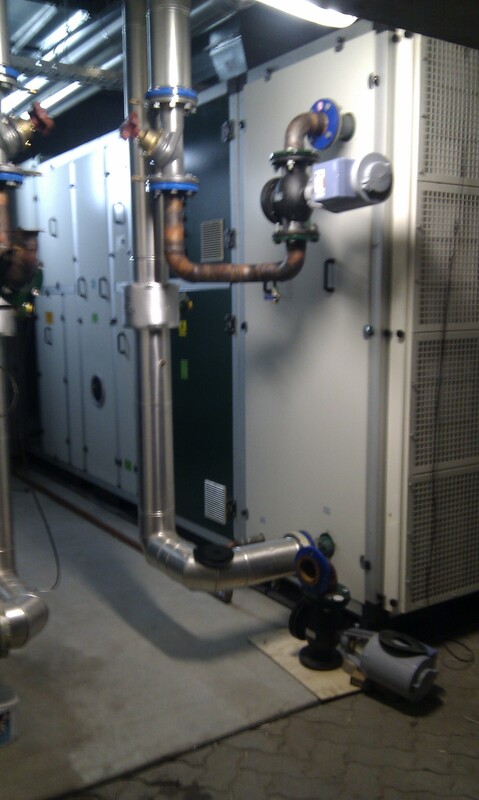 3 off CFA122 chilled water desiccant units with 6000l/s capacity and onboard compressors for regeneration heat were used to keep out the humidity of the ventilation air, and maintains the required 50% rh in the library.